Powell, 59, told the Daily Mail: "I have no regrets about giving up training. Time has come to do something else with my life. "I've been extremely lucky to have two successful careers in racing, especially as Jenny Pitman and David Gandolfo both said I'd never make a jockey!" Rhyme 'N' Reason was sent off the 10-1 second-favourite for the Aintree spectacular and gave his supporters a rollercoaster ride. He looked out of contention when a terrible blunder jumping Becher's Brook the first time relegated him to the rear of the field, as he all but fell. 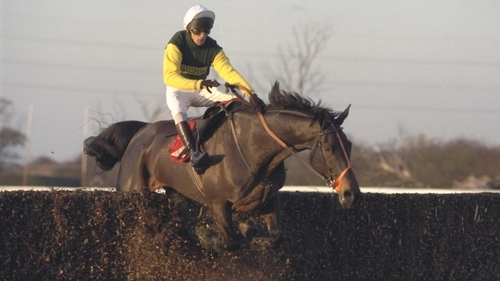 However, Powell kept his cool and somehow recovered his position, being left in front after Little Polveir, who would win the following year's National, unseated Tom Morgan five fences from the finish. Rhyme 'N' Reason still seemed booked for minor honours after the strong-travelling Durham Edition moved ominously alongside and kicked clear - but there was another twist in the plot, as Powell's mount rallied and got back up to claim glory. Powell also tasted victory in the Scottish National, winning the big race at Ayr twice, aboard Roll-A-Joint in 1989 and Young Kenny 10 years later.